Where Can I Use Vinyl? Linoleum is a bit old fashioned but it is both a distinctive and all-natural floor. Linoleum has often been incorrectly used in the past to describe any sheet flooring product but is actually an all natural floor made of linseed oil, pine rosin and wood flour on a jute backing. Chances are your Mom never actually had a real linoleum floor, but Grandma very likely did. 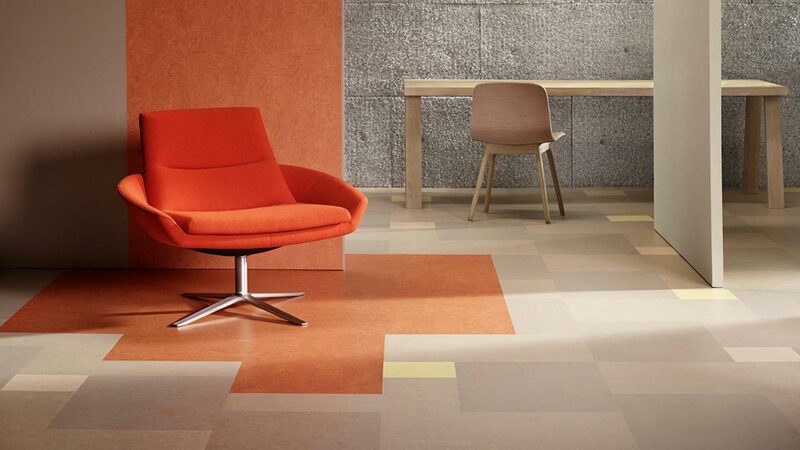 Today, linoleum has enjoyed a resurgence due to the fact that it is a natural, renewable product. Designers love it not just for its environmental benefits, but also because of its distinctive look and the custom design flexibility it provides. The big problem with linoleum is that it is difficult to maintain. First off, it requires a sealer since it can and will absorb both moisture and stains. Newer linoleum floors offer better wear layers that do not require sealing. It’s cool, but I'd say impractical for residential settings. Personally, I love the look but it has a funny, although not necessarily unpleasant smell. Real linoleum is most often used as a commercial floor.